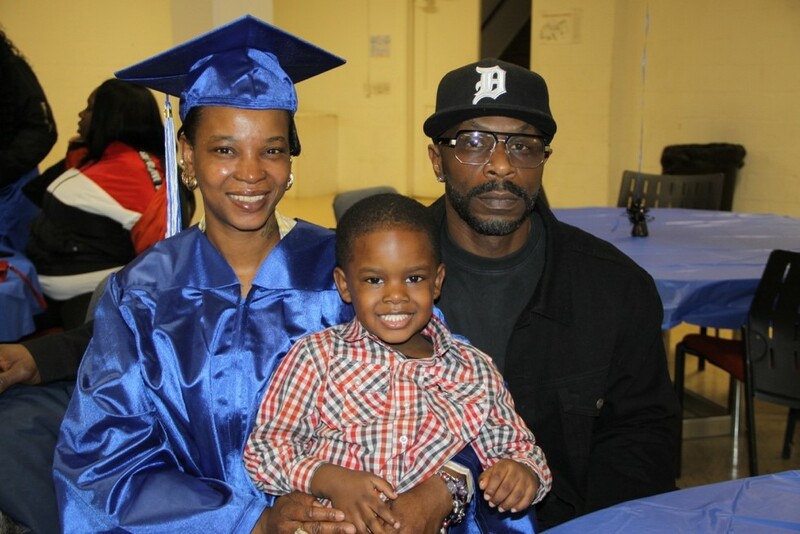 “I thank Matrix for opening the doors for me to make it where I am now.” Said Latrise Martin, one of six Detroit adults who were able to earn their high school diploma through programming at Matrix Human Services. 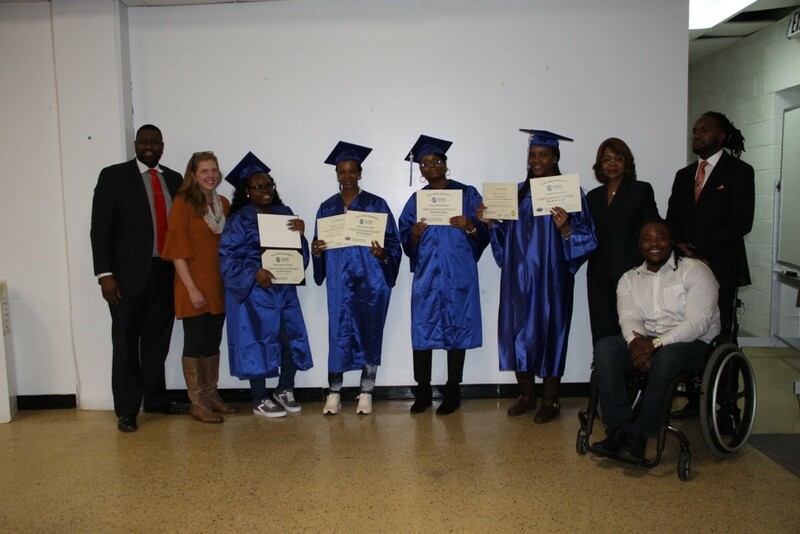 On March 15th, 2019, our Matrix Social Mobility Education Center hosted a graduation ceremony to honor six Detroit adults who earned their high school diploma though our Career Online High School (COHS) opportunity. Latrice Martin (left) and family. Robert Kelly (left) and family. 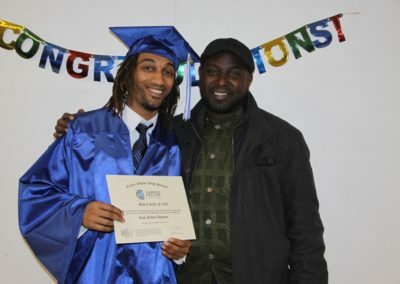 The graduation was full of family and friends to celebrate our graduate’s effort in obtaining their high school diplomas. “Overall I feel accomplished, I never thought I would be getting my high school diploma.” Said Robert Kelly, another high school graduate. “Matrix is a life-saving program which gave us all an opportunity to grow and exist in society.” Said Kelly. 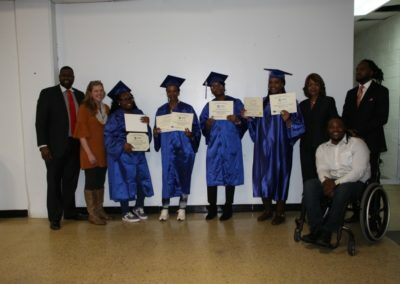 Next steps for the graduates include utilizing the Matrix Human Services’ family of programs for guidance through entrepreneurship support, higher education enrollment, and other opportunities that overall support their ability to better provide for their families. 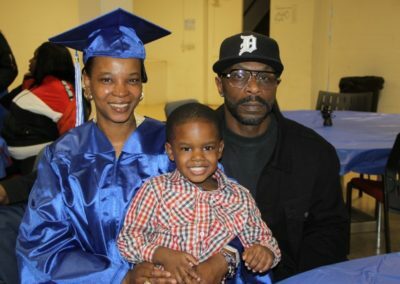 Approximately 20% of Detroit residents age 25 and over do not have a high school diploma. Studies show that high school graduates recognize as much as a 50 percent to 100 percent increase in lifetime income. Innovative partnerships, such as the one between Cengage and Matrix, helps to reengage adults in the education system and prepare them for the workforce. 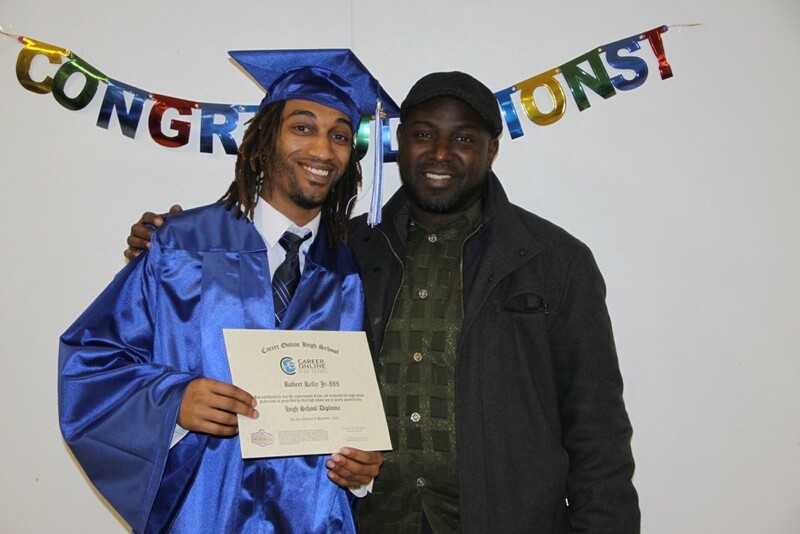 Our social mobility centers offer life-changing services that include completing your High School education to receive a diploma / GED, life skills support, financial education and more! Follow the link here to learn more!